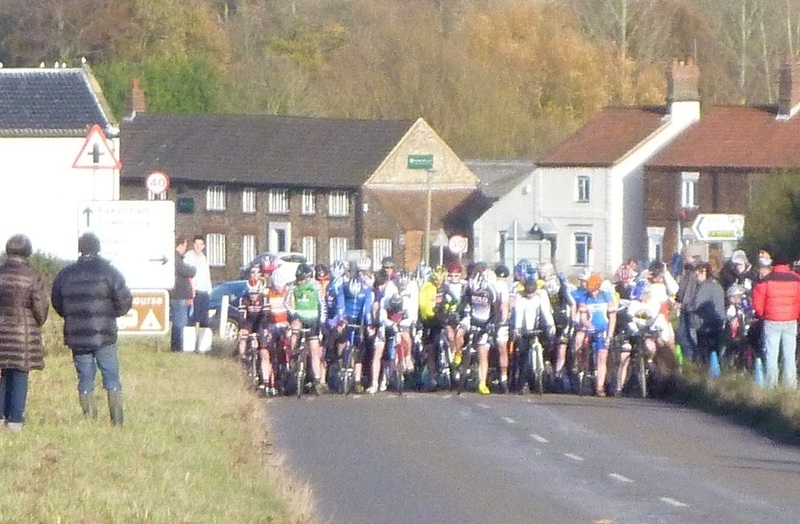 A clear blue sky and gentle breeze greeted the riders this Sunday, and a chilly start soon gave way to almost pleasant conditions. 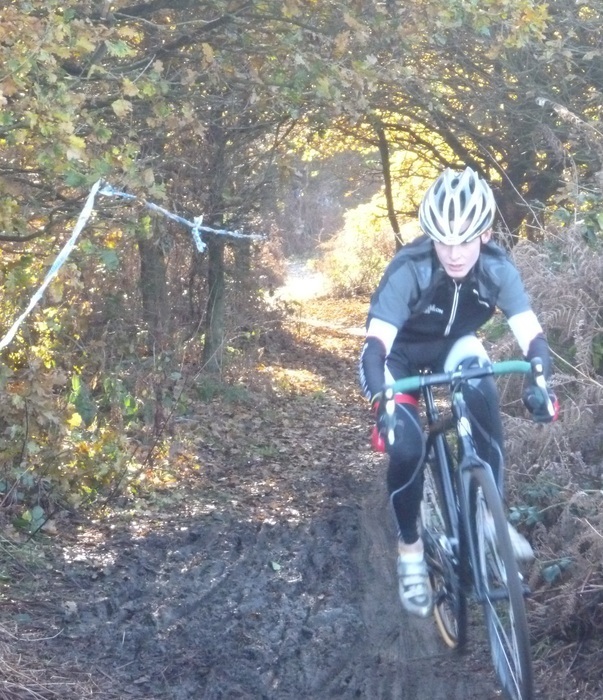 There had been very little rain recently, so the riding line was quite firm and well defined. 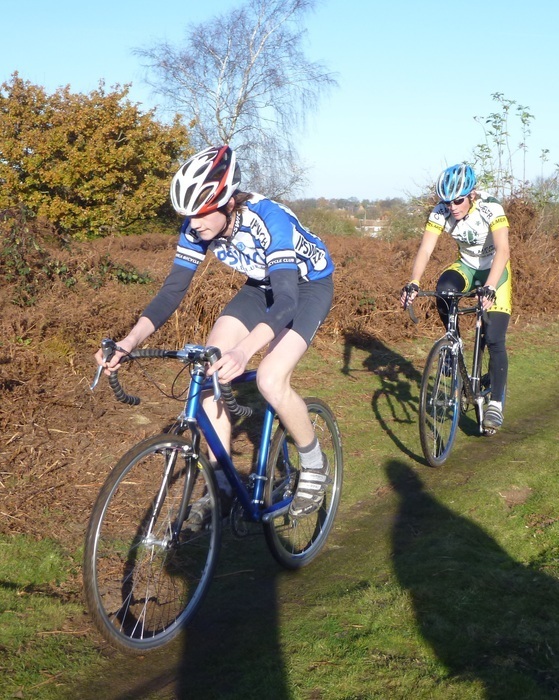 A straight road section (with a hairpin turn at one end) gave the less technical riders a bit of a chance, and none of the off-road course was overly challenging - fun but testing. 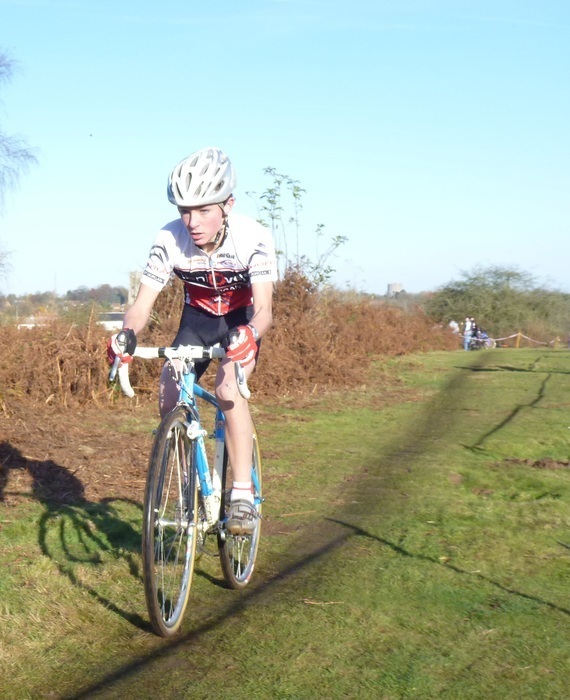 Dougal Toms (Iceni Velo) once again put in a very strong performance to win by a minute and a half over William Hughes (Ipswich BC), with a time of 27:08. 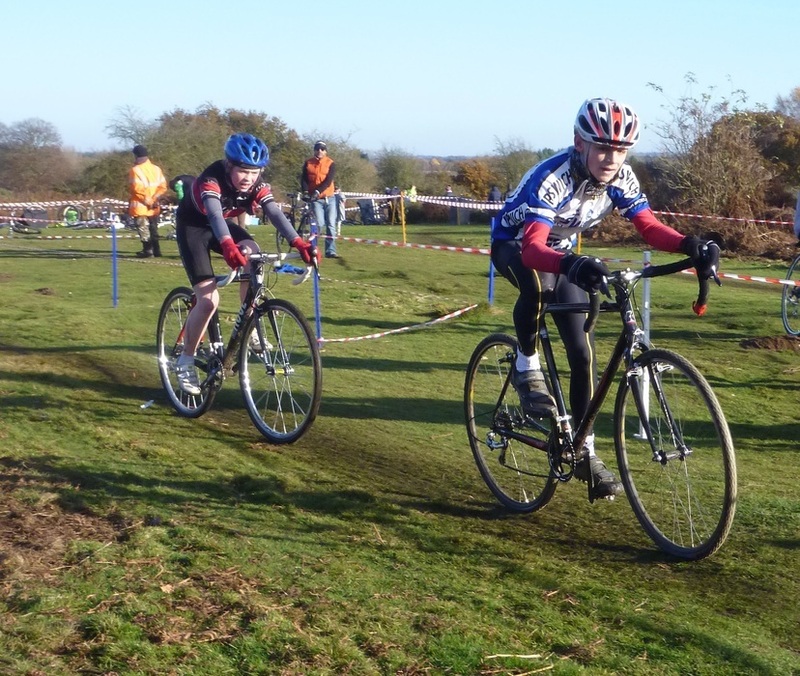 There was a very low entry in this cyclocross race - only 16 starters - which is a shame considering that the course is quite fun to ride. 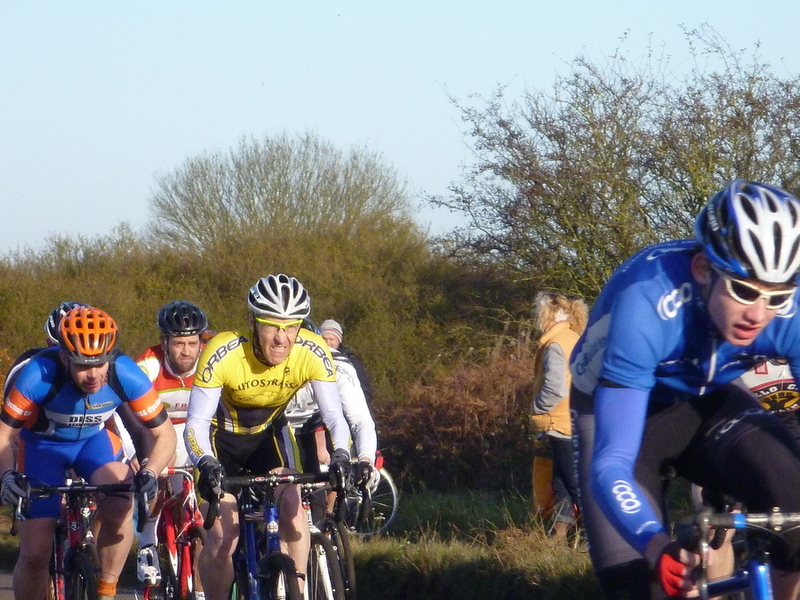 Gabor Doroghazi (Fruit 4 London) chalked up his second win of the season, outsprinting Steve Halsall (VC Moulin) on the road section to the finish line with a time of 57:25. 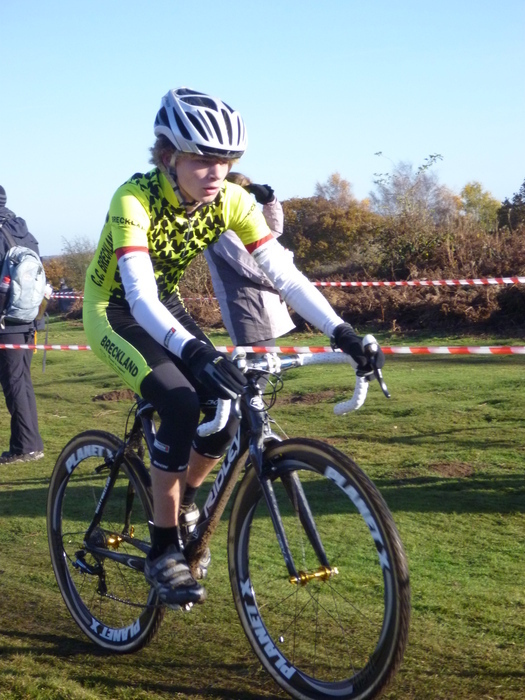 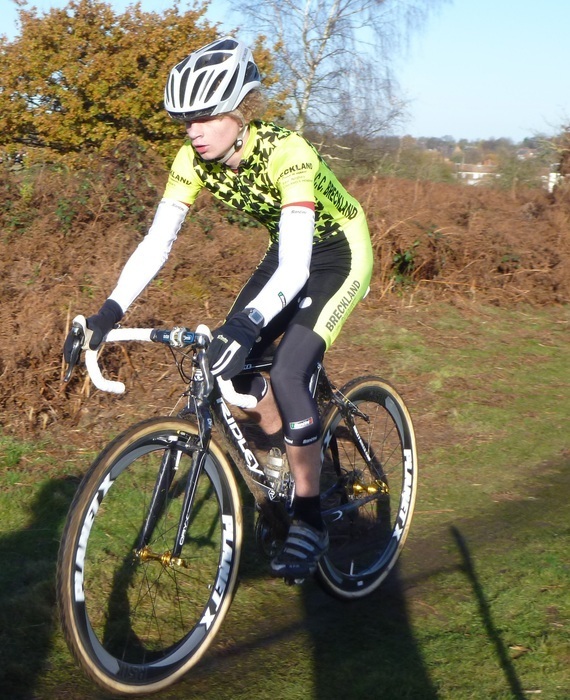 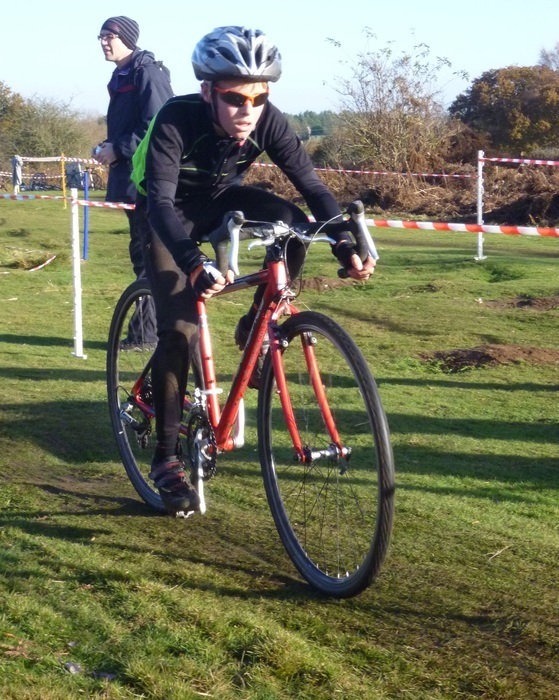 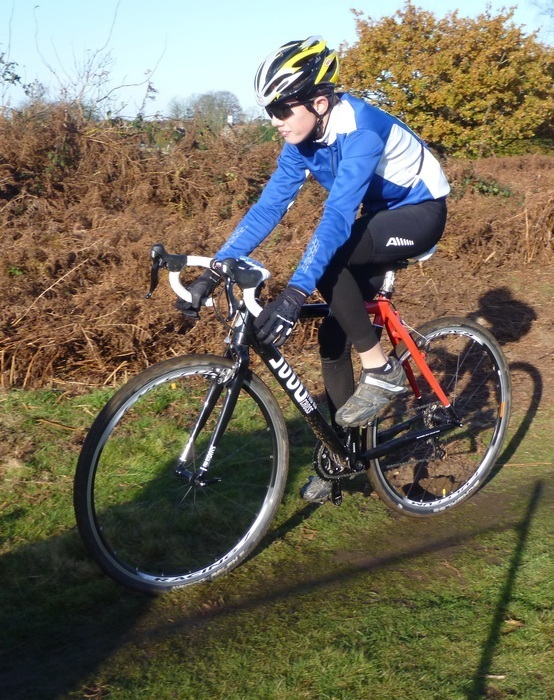 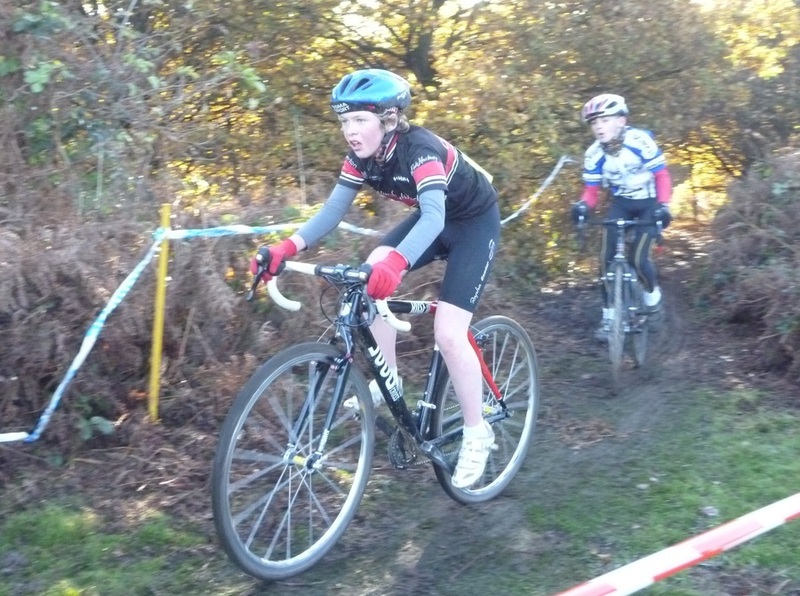 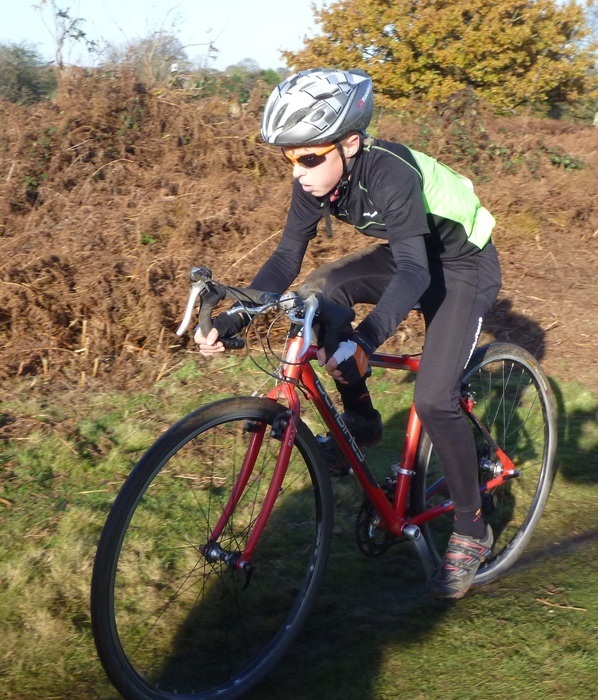 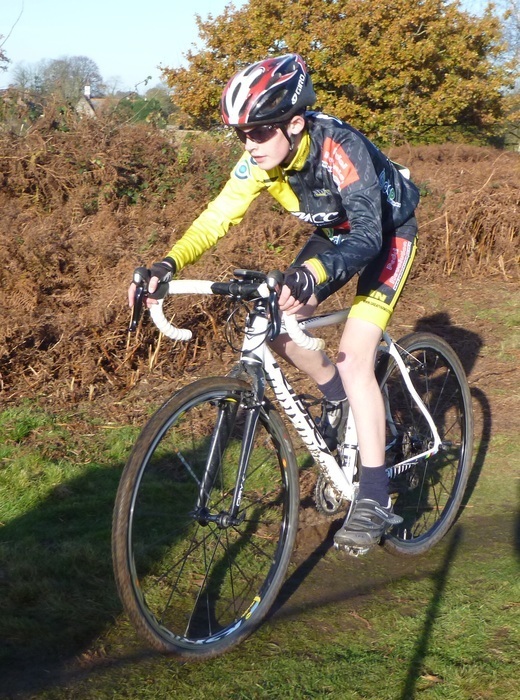 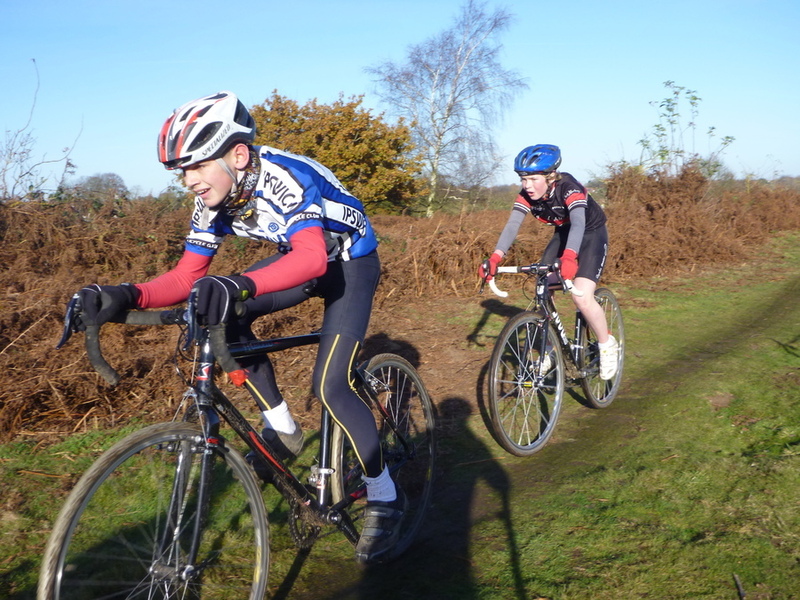 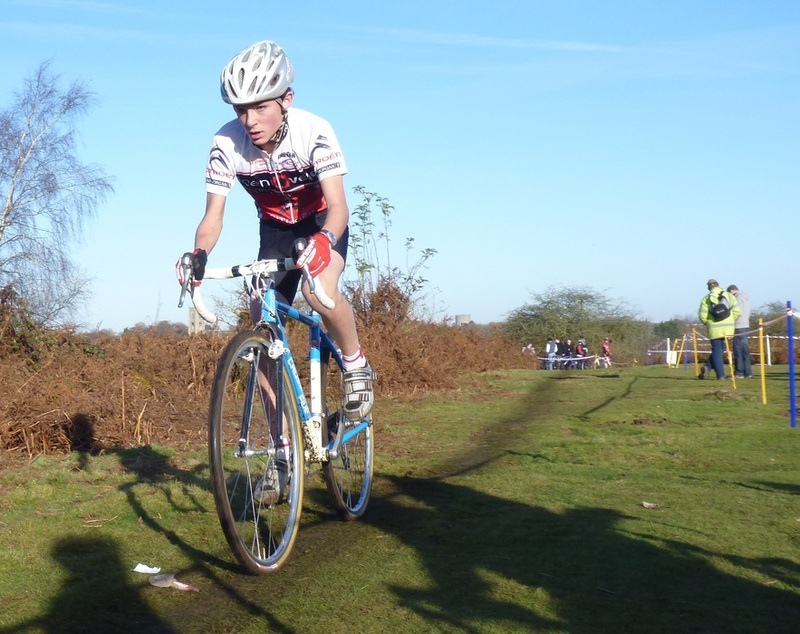 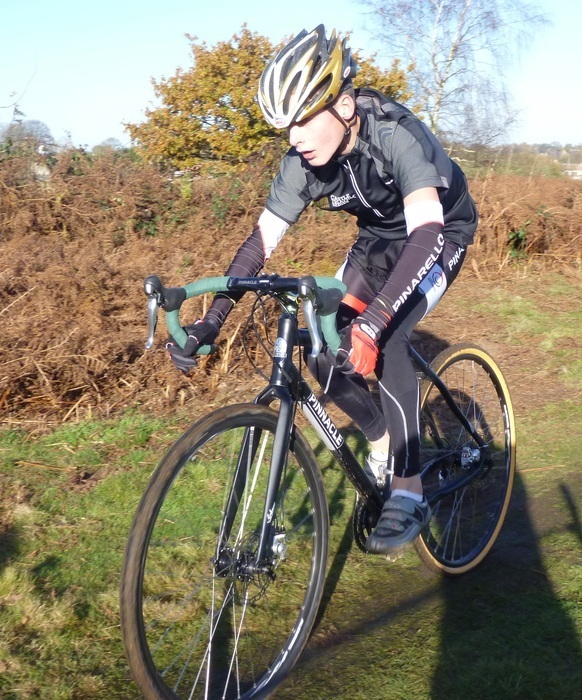 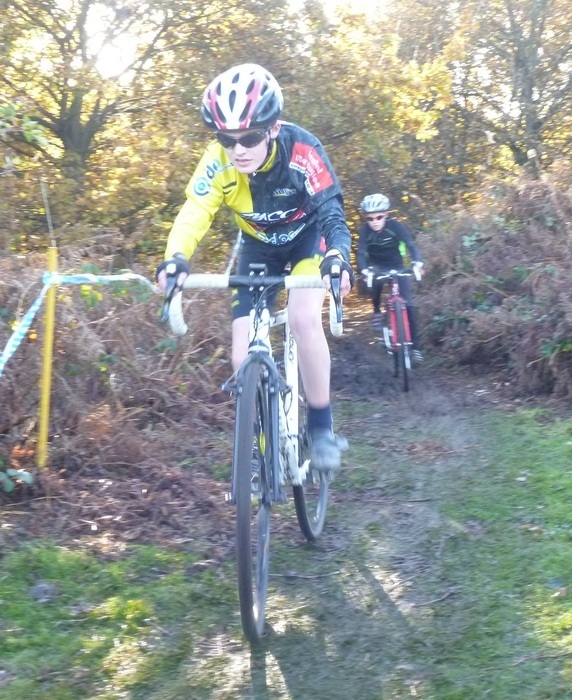 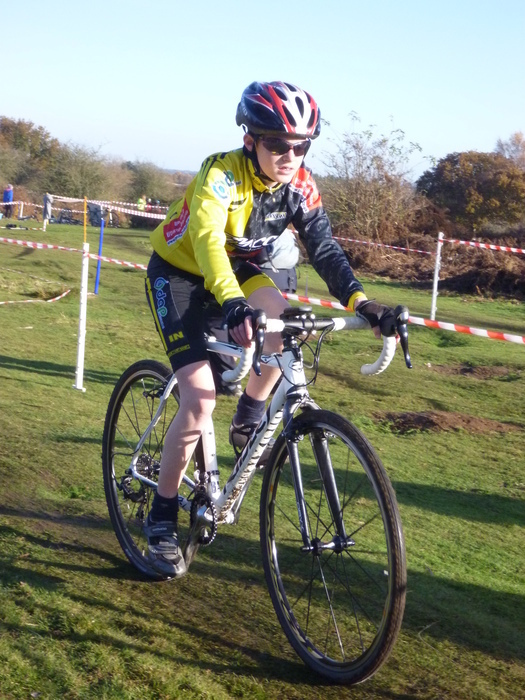 Theo Doncaster (CC Ashwell) was fastest junior and 4th fastest in the race. 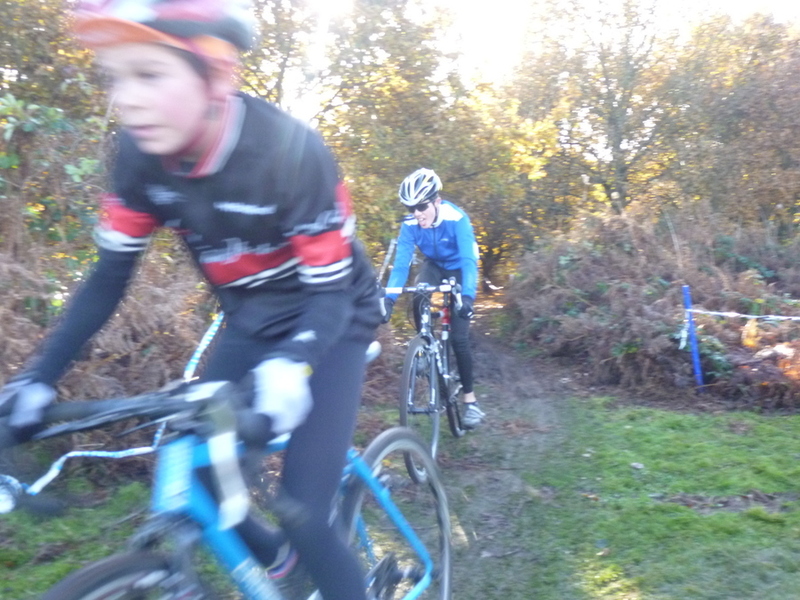 A bit further down the field, I managed to outsprint Hayden Wood for the line, after he'd been delayed by a couple of mechanical incidents earlier in the race. 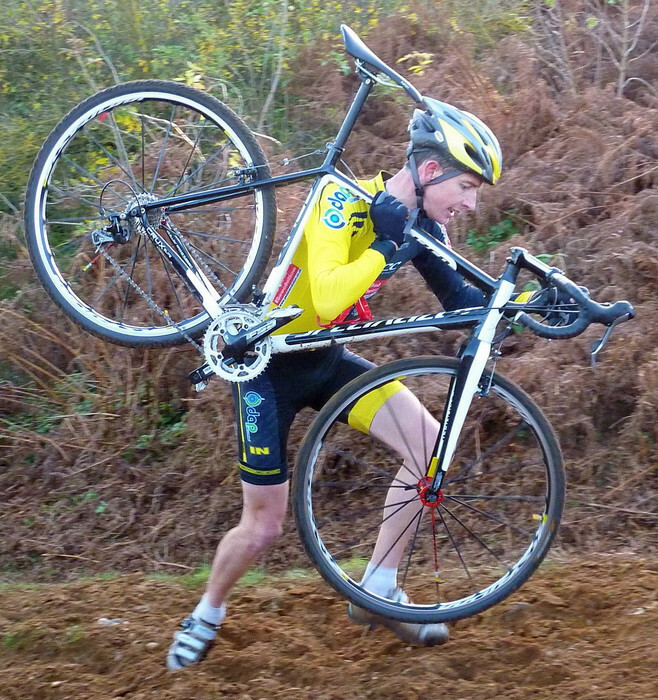 That felt good! 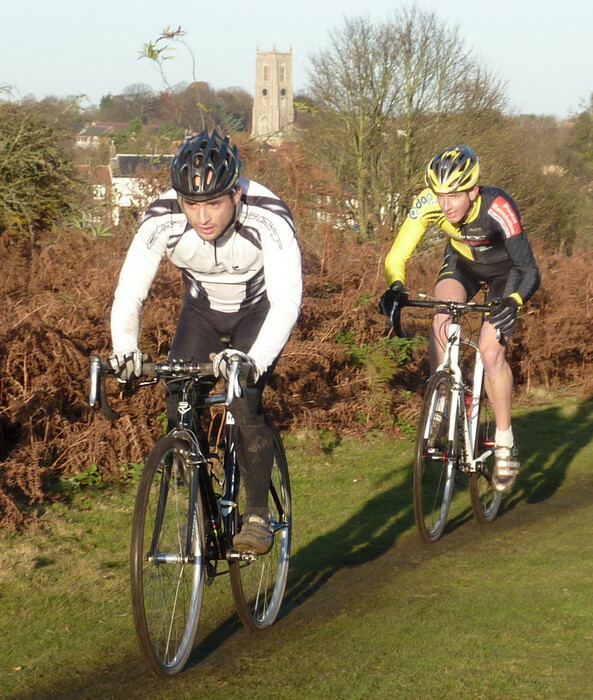 Photos of me (in the yellow/black Gt Yarmouth kit) taken by Fergus Muir. 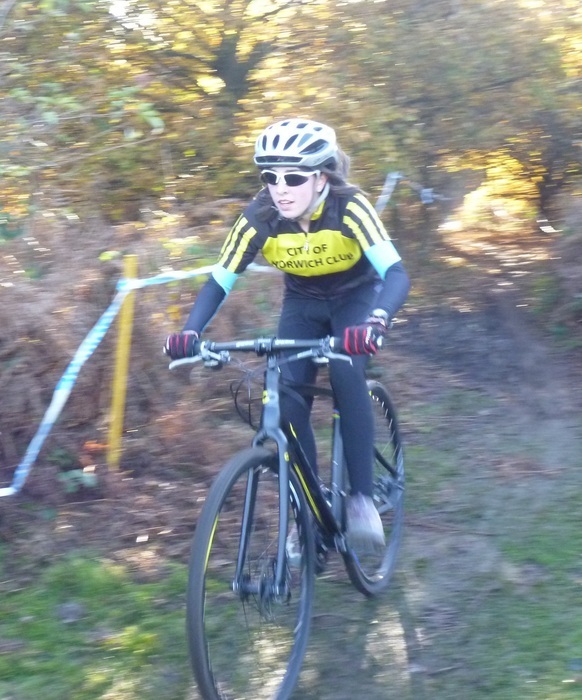 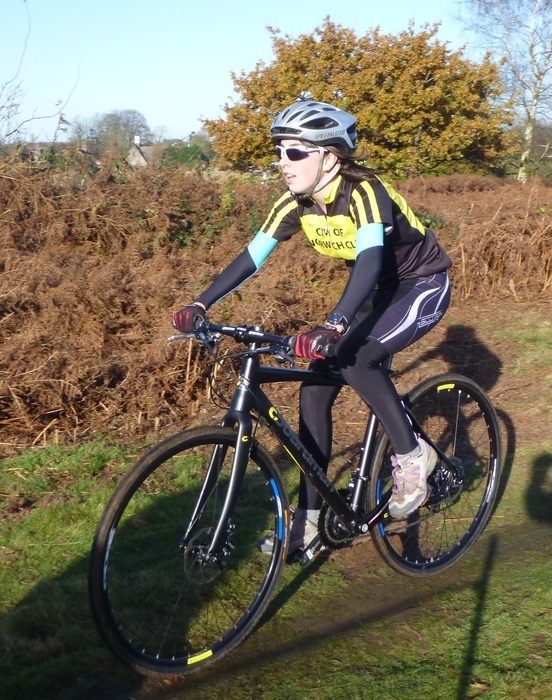 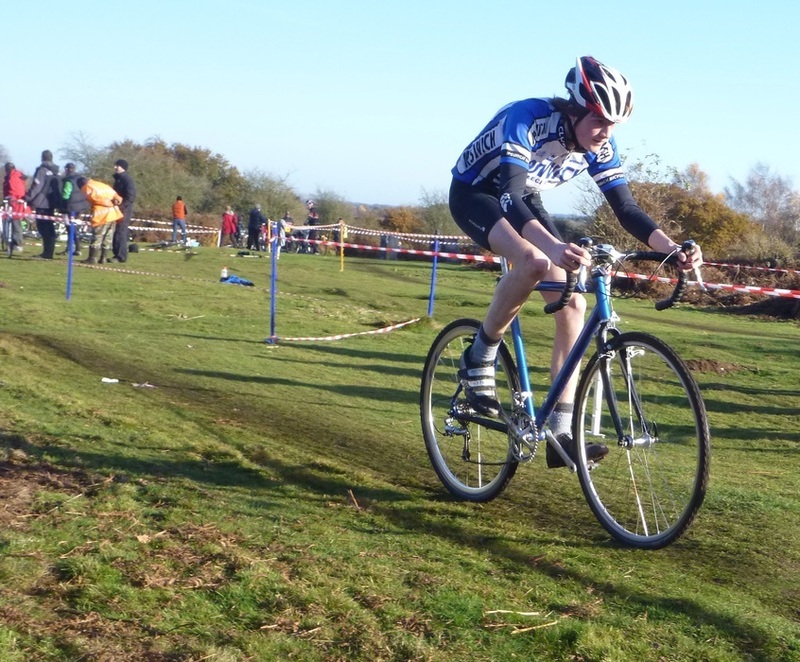 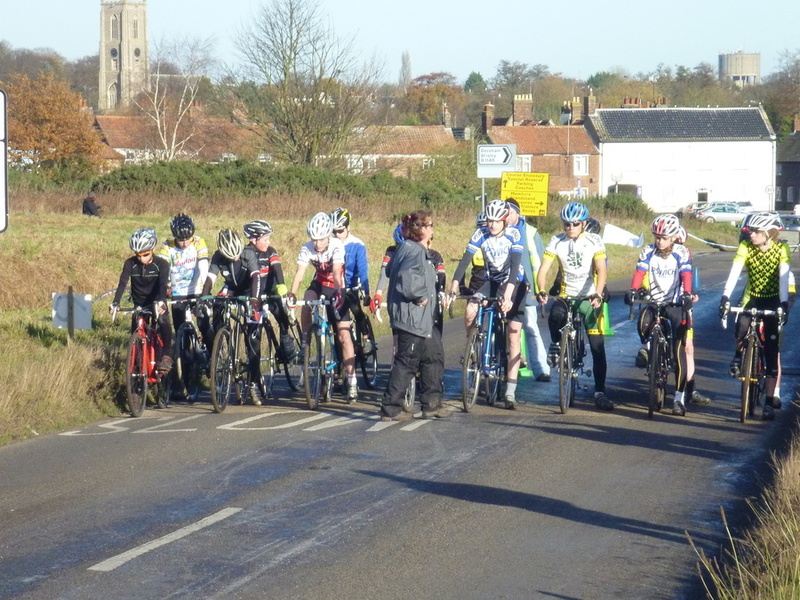 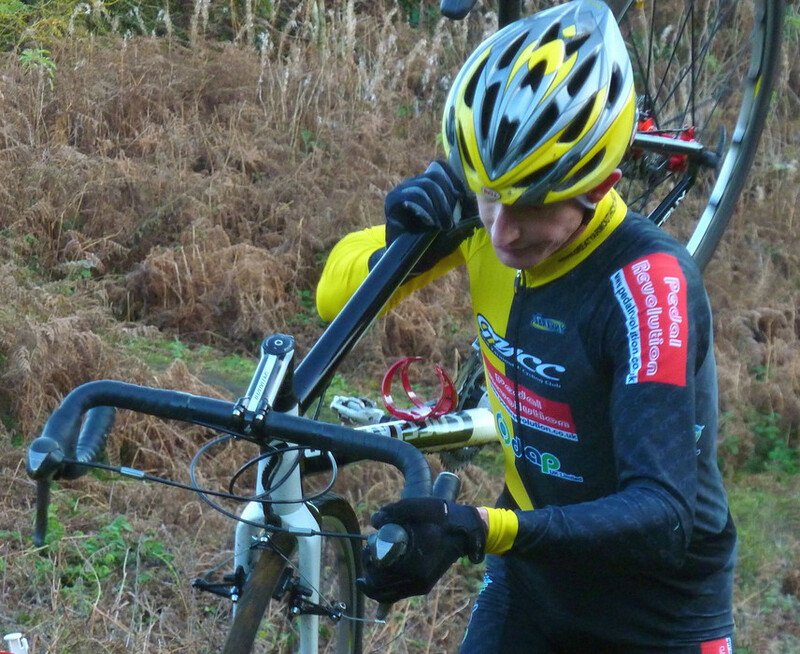 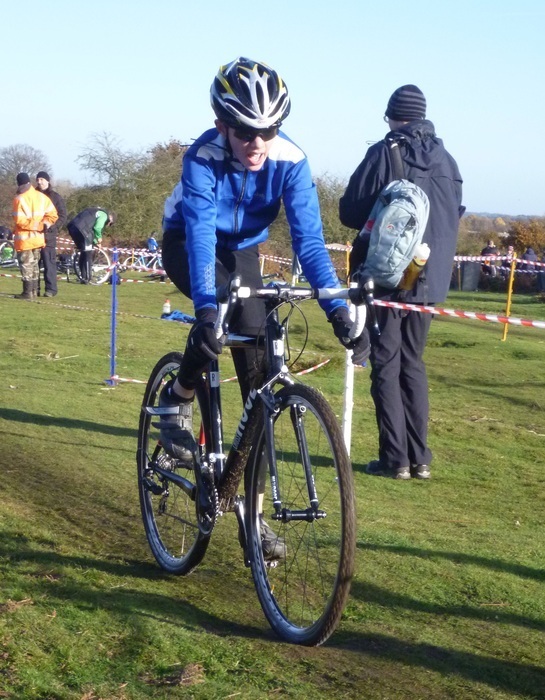 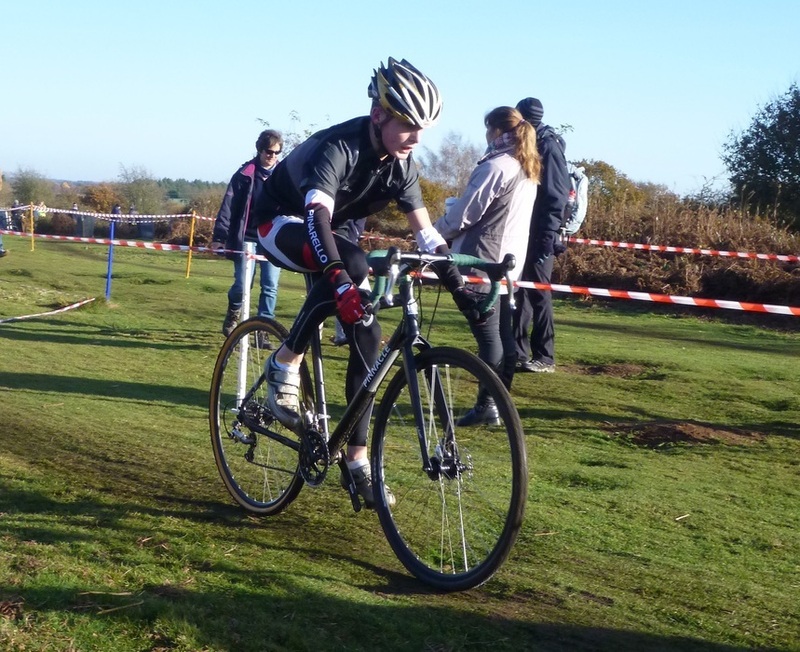 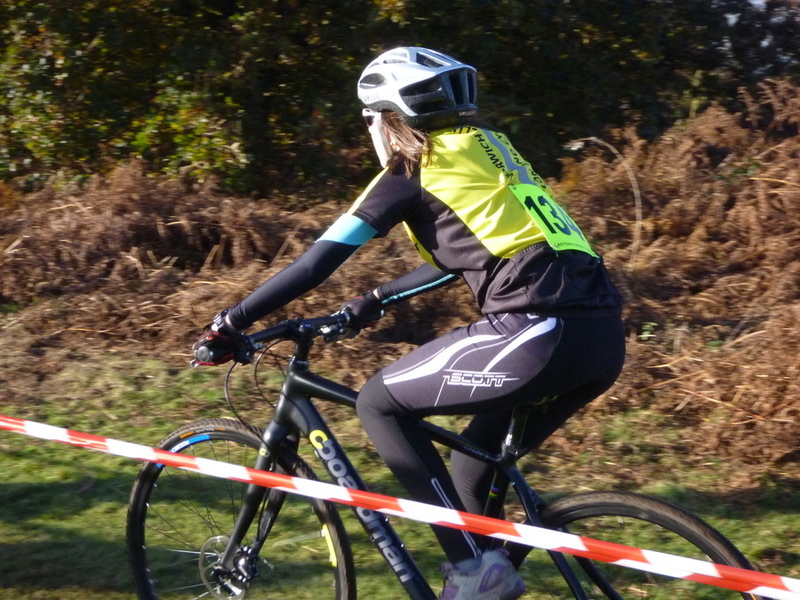 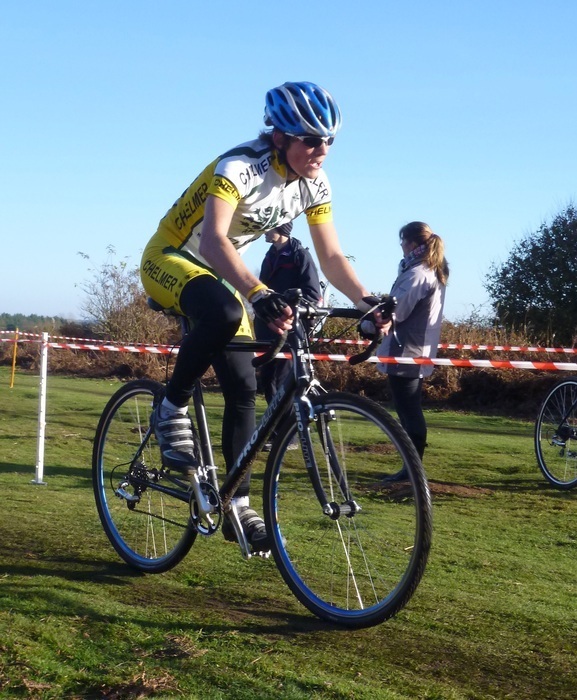 Full results on the Eastern Cross website: Hempton Cross 2012.